One of the biggest issues affecting the 21st Century man and woman is the subject of curses. As an Intercessor my heart breaks for all the men and women who are operating under curses without knowing. 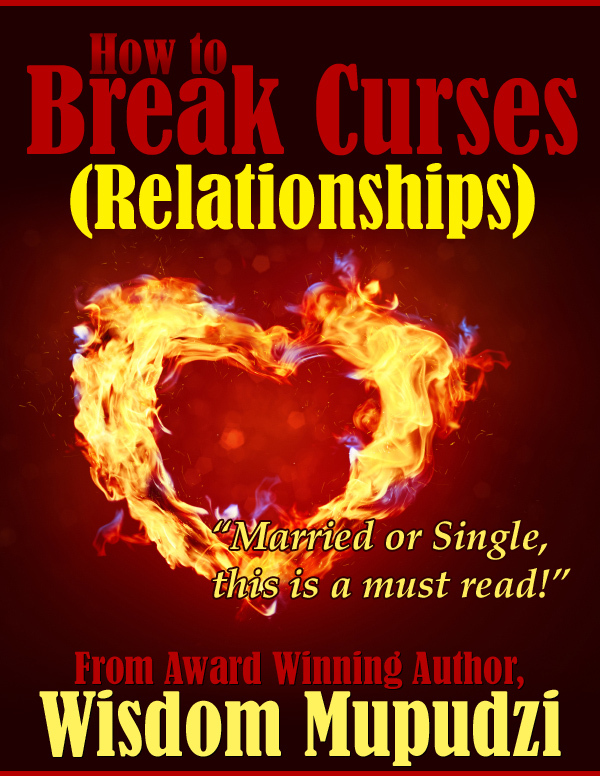 In this book you will discover the common curses and most importantly how one can break free. The Readers Digest word power dictionary defines ‘curse’ as an appeal to a supernatural power to inflict harm on someone or something. The other definition is ‘a cause of harm or misery’. The other definition is the one we all know, the one about using offensive words etc. That’s not the one I will focus on today. Whenever someone says “You will never be able to be a doctor, you can’t! !” That’s a curse right there. Now that pronouncement is verbal right and yet also supernatural. Proverbs 18:21 “Death and life are in the power of the tongue: and they that love it shall eat the fruit thereof”. This makes it clear that life and death are in the power of the tongue. That previous statement about not being able to be a doctor is a death statement, he or she is speaking death to the dream of this would be young man or young woman. By speaking such words, they are releasing supernatural words of death, not only that, hear that 13 times and it forms part of your belief system. Now think about this, such people who speak such words are the ones closest to us. Isn’t that sad? They are transferring their negative belief systems to us. According to Dr Cindy Trimm for every lie you have believed you need to hear the truth 13 times. Now obviously the above faceless and nameless utterer of those words will leave a lasting impression on us and if they say it more than enough, then sadly a dream is killed. Meaning the victim of those words will give up on their dream, not because they couldn’t, but because someone transferred the belief that they can’t. That’s why it’s important to keep your goals and dreams to yourself at times. Sometimes people bring hatred and harm to themselves by telling people their goals and dreams. There are people to tell and there are people not to tell. Majority of the people have heard the story of Joseph and his dreams and how they saw him being betrayed and sold due to jealousy that stemmed from his own brothers. Now, there are many authors on this subject and the best are deliverance ministers and many who understand the supernatural power of what we say or what gets said over us. However, the bottom line is this. The tongue can speak blessings or curses, and the words we speak or the words spoken to us or over us, can lend opportunity for demons to enter. The power of life and death is in the tongue as I have already mentioned before. ( Proverbs 18; 21). Words as simple as “We are never going to have anything,” can invite a spirit of poverty to help insure that those spoken words come to pass. Some people are still in poverty today because of the words they spoke over themselves and some because of what somebody else spoke over them. In short I will say that angels react to words of faith that you speak and demons respond to words of doubt and belief. You can call that your right wing and your left wing for angels and demons respectively. Anything positive will bring forth the attention of the right wing (angels), and anything negative will bring forth the attention of the left wing (demons). We can take it further and state that even words like “You will never walk again” from doctors after surgery can become spoken curses. These utterances can actually do damage to one’s chances of recovering. Think of all the things that you wanted to do and somebody spoke that you couldn’t do it for one reason or the other. Did you do them?? Chances are you did not. There you have it, those are curses!!! As much as it is painful to tackle this, I have to admit that I have seen my life turned topsy turvy due to some things that certain misguided elements uttered in my life. Of course, I have since forgiven them and moved on. I also had to take responsibility that I gave them permission to be in my life at the time. When you have friends who speak such negative words in your life, especially on those dreams and goals that are close to your heart.